If you need to accept card payment in a physical location, you need a point of sale (POS) system. There are many different POS systems out there so knowing how to choose the right one for your business can be challenging. All systems claim to be everything you need, however this might not be the case for all businesses. Most POS systems are designed around “industry best practices,” meaning that they try to serve the majority of businesses based on the most common needs. Many systems start to fail when the requirements of the business break away from the norm. How do you choose the right point of sale for your business? The best way I’ve found is to look at three or four different examples and do a direct comparison. Today I’ll compare 3 different web-based point of sales systems - Drupal POS, Shopify POS, and Square POS. I’ll look at features, costs, usability, integrations, and more. In the end, I’ll try to understand the strengths and weaknesses of each and ultimately determine what business types they work best with. All of the POS systems I examine today are web-based (or cloud-based). This means that these systems are connected to the internet and all of the data is kept online. Web-based systems are increasingly becoming more popular because they are generally easier to setup and require less time and knowledge to maintain. They can also integrate with your eCommerce store. You can read more benefits here. Here is an introduction to the three POS systems I’ll be comparing. Drupal POS is a free add-on to the popular Drupal content management system. Drupal is open-source and completely free to use. It’s known as a very developer-friendly platform to build a website on and has a massive community, over a million strong, helping to advance the software and keep it secure. The open-source eCommerce component for Drupal is called Drupal Commerce. While Drupal Commerce has a relatively small market share, the platform is very powerful and can be a very good choice for businesses that have demanding requirements or unique product offerings. Shopify POS integrates with the popular Shopify SaaS eCommerce platform. Unlike Drupal Commerce, Shopify is a standalone product and stores running on the platform pay a monthly subscription fee to use it. 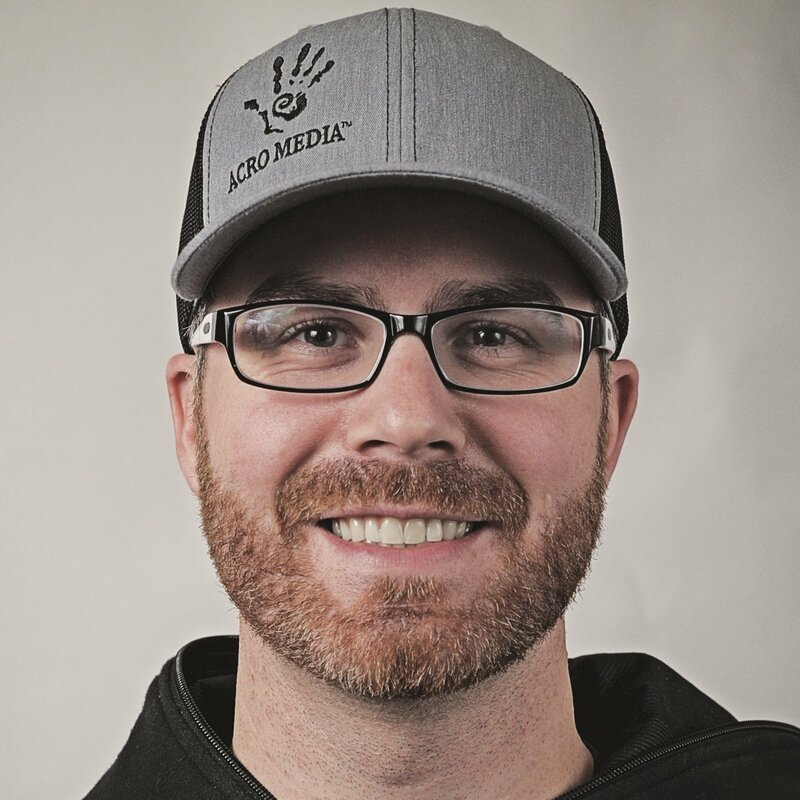 With that said, business owners are given a well developed tool out-of-the-box that has all of the bells and whistles most stores require to get up and running fast. Shopify aims to serve the common needs of most businesses, so very unique business requirements can be hard to achieve. Square POS is an add-on point of sale service for your business and is not really a platform for running your entire store, although it does now offer a basic eCommerce component. It can also integrate with many eCommerce platforms, including Drupal Commerce. Square aims to make the process of accepting card payment easy to do, without bulky equipment. Below is a side-by-side comparison of each service (as of July, 2018). Note that some of the information below applies to stores who also have an eCommerce component. If you don’t need eCommerce, you can ignore those items. Note for mobile viewers: Swipe the table side-to-side to see it all. * Grouped with additional fee above. What business is best suited for each POS? As you can see, all three options have most of the same features. Most businesses would probably be fine with any of them, but let’s see if we can distil down where each system fits best. If you have a medium to large business with unique business requirements, Drupal POS could be the ideal platform for you to work with. For small business, Drupal POS and Drupal Commerce might not be for you. The initial cost to get a site built might be too high for your budget, however, if you look at the long term fees charged month by month from the other venders, this upfront cost will be saved in a matter of time. 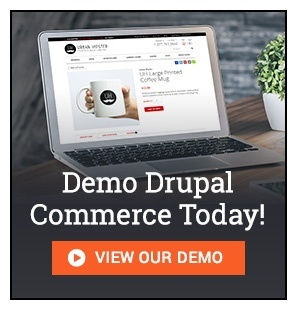 Also, if you have a really obscure need that no other platform will accomodate, Drupal Commerce can. If you’re already running a Drupal Commerce store and now want to add point of sale to your physical locations, Drupal POS is probably a no-brainer. It’s built on-top of the existing Commerce architecture, so you know it will integrate properly in every way, and you can utilize your existing web development service provider to help you set it up. If you’re not already using Drupal then you have some larger questions to consider. Do you already have an ecommerce website? Would you be willing to invest in replatforming? Since Drupal Commerce is an eCommerce platform, you would ideally be running your whole operation from Drupal Commerce. That’s not necessarily a bad thing though. Drupal can readily handle any business case you can throw at it. It can integrate with virtually any third-party service, it can provide you with a single location to manage all of your products, orders, customer accounts, etc., it’s built to scale with your business, and on top of all that it’s a powerful content management system that will run your blog and any other content need you might have. From a support point of view, because Drupal is open-source, you don’t have a single source of support to contact. Instead, you would need to utilize your current web development service provider (if you have one), or work with one of the many Drupal agencies out there who are specialized in Drupal development. This means you can shop around and find the company will work best with you. Another advantage to Drupal POS (and Drupal as a whole) is that because it’s free, open-source software, you don’t actually have any type of fee to use it. Not one cent. You can have as many stores, products, staff accounts, transactions, registers, etc. as you need, and the price is still $0. Instead of spending your hard earned money on platform fees, you can now redirect those funds to developing your website and POS to do whatever you need it to, or towards marketing, or staffing, or growing your business. If you’re a small to medium sized business who is just getting started, you don’t have a large budget, and you want the best eCommerce site with POS capabilities, Shopify and Shopify POS is probably your best bet. Also, if you’re already running a Shopify site and happy with it, the Shopify POS is probably ideal for you. If your business is growing, or you run a large, enterprise level company, Shopify and Shopify POS probably won’t cut it. For one, the fees associated with this level of company can be significant. If you’re at that point, replatforming to something like Drupal Commerce can recuperate a lot of lost earnings and give you full control of your development path, without restrictions. Shopify has built their business around being easy. Whether it’s opening up a new store or managing your inventory and customers, the Shopify interface is clean and straightforward. As mentioned earlier, it’s ideal for small and medium sized companies just getting started. However, where Shopify starts to fail is when your business growth is strong and your requirements start to become more complicated. With Shopify, the number of products and product variations you’re allowed can limit your growth. As you start adding more staff, your costs go up. You can pretty quickly go from a $29/mth plan to a $300+/mth plan in short order. Another possible deal-breaker is if your product offerings have very unique requirements. Shopify is built to work around the most common business requirements. When your business breaks out of this mold, the platform isn’t designed to accommodate. However, if you can stay within the “typical” business requirements, Shopify probably has everything you need as long as you’re willing to pay for it. Square POS is great for small businesses and food service businesses. It’s an easy to use, low-cost option that doesn’t really require anything more than your phone and the provided card reader. Their software interface is clean and easy to understand. If you’re a medium to large business, or you have very high traffic, Square POS might not be for you. Square is mainly an add-on service to existing businesses, so don’t expect much from an eCommerce perspective. Square has become a pretty common sight around town these days, especially when you’re at small business such as cafes or walking around a farmers/artisan market. Square has been able to provide a very good product that allows people to jump in to card transactions easily. It fills this need. When your business grows and you start having multiple stores and an eCommerce component, you may quickly grow beyond Square’s capabilities. Drupal POS and Shopify POS both have native eCommerce that they work with. This is important when you’re talking about inventory management and other integrations. While Square does have a basic eCommerce component and can integrate with various eCommerce platforms (Drupal Commerce being one of them), you may struggle to get some of the features that Drupal Commerce and Shopify have by default. Acro Media is an open-source eCommerce development agency. Our experience in this area is vast and we would love to share it with you. If you have a project that you’d like to discuss, one of our friendly business developers are always available to have that discussion at no cost to you.